After talking about the effects that Occupy and Arab Spring had on society and the rest of the world, another example came to my mind. Last year a video that millions of people shared, 94 million shares to be exact, became a huge topic of conversation. 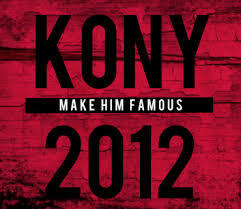 The short film on youtube called Kony 2012 was going viral around October. It was all over every single kind of social media, twitter, facebook, tumblr, etc. People were changing their profile pictures, buying the merchandise, sharing the video, updating their statuses, tweeting, etc. Kony2012 is a very good example of mediated mobilization. It was a form of media that pulled millions of people together. Even if people who saw the video were skeptical the goal was to “make Kony famous.” Therefore, even if one was not supportive of the organization the underlying goal was achieved. The basics of the organization was well known throughout the country and world. However, the only difference between the Kony2012 and the other two movements is that. Kony2012 is that now it’s 2013 and no one really talks about Kony anymore. It’s as if he had his 15 minutes of fame and it’s over now. That being said the organization that’s overall goal was to capture Kony never did but they did get a lot of money. I am going to be writing about technology and analyzing the different sides to how it is improving our lives and also making our lives more difficult. I will be discussing wether or not technology is allowing us to create closer relationships with others or is it coming in the way of having a real face to face realtionship. Also because we can access anyone or anything in the matter of seconds are we giving enough of quality time to our relationships or are we spending less time with people but have more people to connect with – Quality vs. quantity. I will start off by looking in the past at how people use to communicate and what were the values. Then I will compare what we did in the past to what is going on today with how we connect to people. I will also talk about the miscommunications through social media. Also the way we are all able to change how people view you through social media. My last point I will look at what the future might be like. 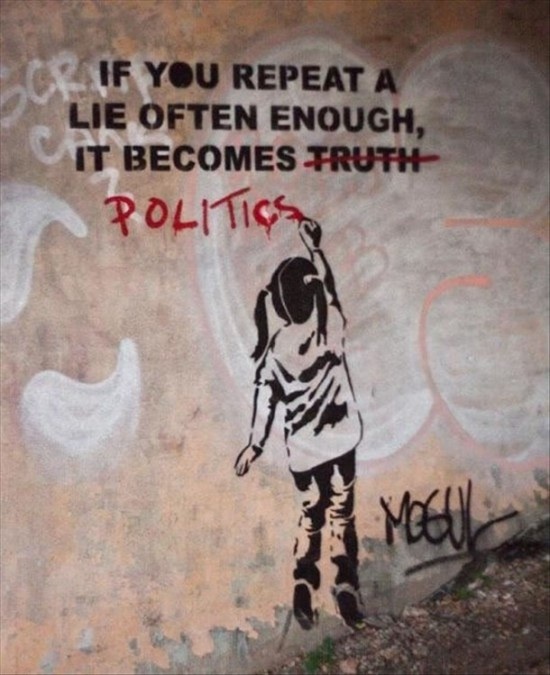 Bansky is probably one of the most famous culture jammers ever. He is known throughout the world for his dark humored graffiti mostly found in England. He was named one of the most influential people by Times. His work started out as a collaboration between musicians and artists. As his work became more and more recognized it also became very controversial because people began to question if his work was actually art or was it vandalism. Also the subjects that he focused on was primarily to do with the government and the Queen. He stated that his own art work was a type of guerilla warfare. The goal of his work was to take away power from the larger enemy and give that power back to the “little people.” In order to do this his work mocked central power. Most people either hate Banksy or think he is a genius but either way his graffiti influenced many culture jammers and paved a controversial path for guerilla warfare artists. My semester project will be using well known photographers works to draw influence from and develop my own photographs using what I have learned and looked at through their work. I will take 2-3 pictures a week inspired by a photographer. I will chose a photographer at the beginning of each week and pick a series or one photograph that they have done and try and mimic certain aspects from it. I will explain how I tried to take certain elements from their photographs/photograph and use it in my photographs. I will also write up a short few sentences on how I edited it and how it is significant. I will do all of this on a tumblr blog. The link to the tumblr blog will be posted in my next post. The New York Post published a horrifying picture of a man about to get hit by a train. The picture itself makes you wonder what the photographer was thinking while taking it and not helping. After reading the article that accompanies the horrific image, it makes it clear that the photographer wasn’t about to offer much help. However the same hold true for photographers who document war or starving children. Instead of taking pictures shouldn’t they be helping the victims? In today’s society people are so use to getting out their phones and photographing or recording situations that are out of the norm instead of putting down their electronics and using their hearts and minds to help. Their are obviously pros and cons to both approaches nevertheless an innocent life could have been saved that day if the man snapping pictures would have helped out. In the interview with the photographer he said he turned his flash on in hopes that the flash while he was taking the pictures would have slowed the train down. Whether or not turning the flash on to help the victim was actually his true intentions still doesn’t explain why he didn’t just put his camera down and help the man out. This story makes me question society in a very sad way. Is society today so focused on about providing entertainment that even death is becoming a form of entertainment? I have always enjoyed music mashups especially when the mashup is made up of two completely different genres of music. The Grey album was exactly that. The mix of Jay Z (The Black Album) and The Beatles (The White Album) was surprisingly genius. I also thought that it’s title, “The Grey Album,” was very clever as well. However, the controversy behind this mashup is something I have a strong opinion on. Despite the fact that Jay-Z and Paul McCartney both agreed that it was fine that Danger Mouse use their music to create a separate creative mashup, the record company owning rights to The Beatles did not agree at all. They threatened to sue Danger Mouse. I don’t agree with EMI at all. They were not the creators of The White Album therefore I don’t think that they should have much of a say when it comes to how the music can be used. Also, from personal experience with mashups that become popular in todays culture that I like, I like to find the original creators of the different songs and download their music. It wasn’t as if Danger Mouse tried to take credit for the two songs that he used. On the other hand, this huge controversy brought a lot of publicity to the two different artists, Danger Mouse, and to the mashup itself. Therefore, I feel like the more they resisted and threatened to sue it only brought more attention to Danger Mouse. That being said, I think that despite the fact that I don’t agree with how EMI handled the situation I think that it brought many positive things to attention. Before, watching the hitchhiker video in class and not knowing what to expect. The background information we were given was very brief. It was a crazy hitchhiker that had helped in an altercation involving several people. However after watching the video it was surprising to me to see how my original idea of what the video would be about was completely off. The video was very funny and depicted this hitchhiker that was clearly not all together mentally. That being said, the news clip shouldn’t have really been about him. The victim of the altercation should have been the focus of the news clip. However, not once was the victim ever shown or even really talked about. The story was about Kai. The hitchhiker who had no one that saved the day. I think that America loves stories about the underdog. The people who no one would expect to do something so risky and life threating. Kai was the center of the whole media story. It wasn’t even about the man who threatened the lives of the people involved. It’s interesting to see how quickly a media story can change the focus of a story to a totally different story. It was no longer a traumatic story about a victim being pinned in between two cars and two ladies who were being strangled but an animated funny hitchhiker who had saved the day and taken down the bad guy. It did provide great entertainment but I’m not sure if it was ethically correct or fair to the victim who never got to have his word. After seeing the full interview of Kai it was interesting to see how even less attention was given to the incident. However the interview gave more information on Kai’s personal life and daily struggles. Kai seems less insane and more of a character you feel compassion for. My heart went out to Kai after he began talking about his nonexistent family and his homeless lifestyle. The more Kai talked about his life the more and more I forgot about the original traumatic story. It just shows that even the news as reliable and factual as one might think that they are the ability that they have to change a story is all for entertainment.